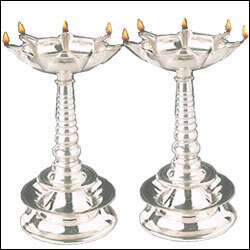 Diwali Silver Lamp Set (Big Size). 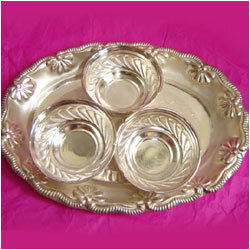 120gm.silver(98%) plate with 3 Pasupu, Kukum, Chandan Bowls. 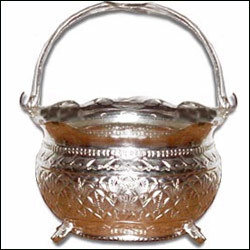 A Silver Laxmi idol, An ideal gift for any occasion 50 Grams. 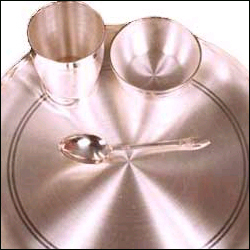 Silver Dinner Set consisting of plate, bowl, glass & spoon. 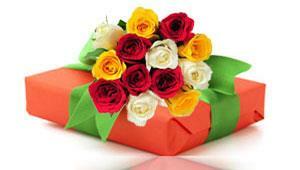 Weight approx : 704 grams. 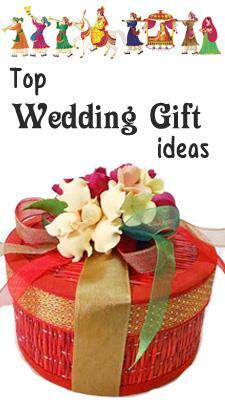 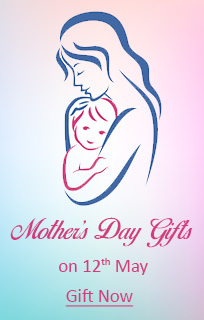 Note: Orders must be placed before 4 days. 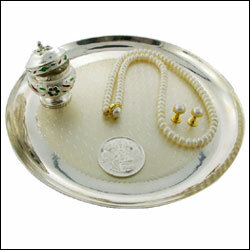 Beautiful Silver Fruit Bowl 750 gms (app). 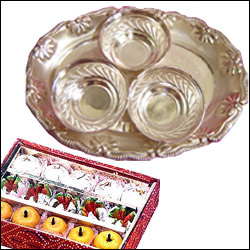 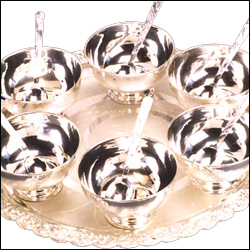 Silver Dinner Set (Purity App 98% - weight : Approx : 1100 Grms One thali, Two vatis, One dahibada plate, Two spoons , One glass. 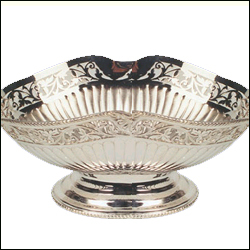 Weight approx : 1100 grams. 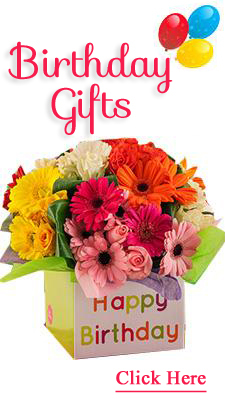 Note: Orders must be placed before 4 days. 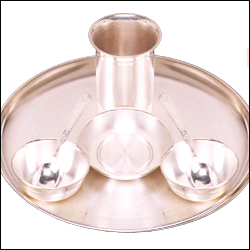 Silver Icecream Set Weight :1100 gms (One tray, Six bowls,Six spoons). 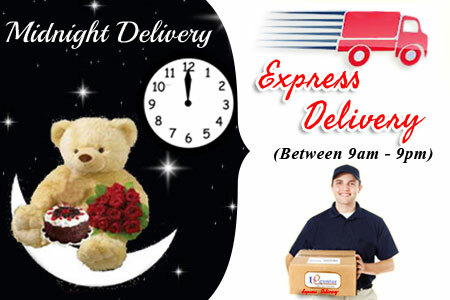 Note: Orders must be placed before 4 days.